A wedding is a big day not only for the bride but for the groom too. If there is any better day to look good, are your wedding days. There are loads of relatives gone attend your wedding and other wedding ceremonies. It is your chance to impress your guests with your looks. If you have a question like what to wear on Haldi? 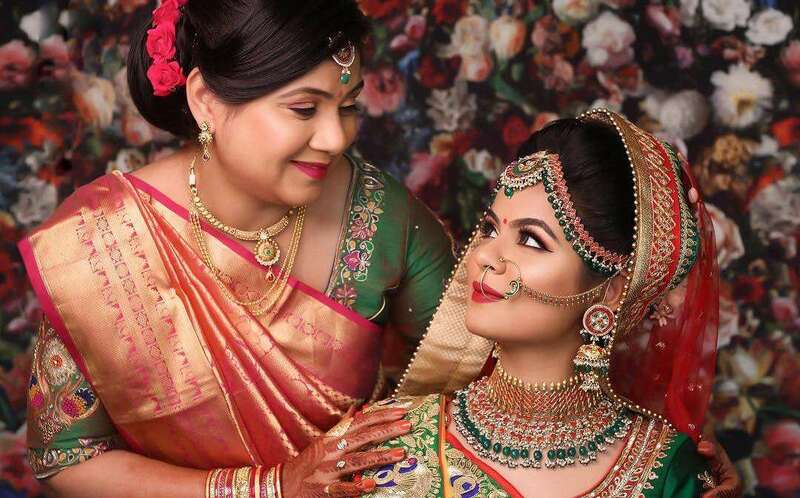 What to wear on Sangeet? Sherwani is suitable for which Day? Etc. We can help you. Here, we provide a quick guide for the groom-to-be. Now, groom finalizes their wedding attires without any stress. You just required good traditional dress providers or best designer in Delhi who can design your sherwani and suits. Our suggestion put you in limelight and grabs the bride and bridesmaid’s eye. 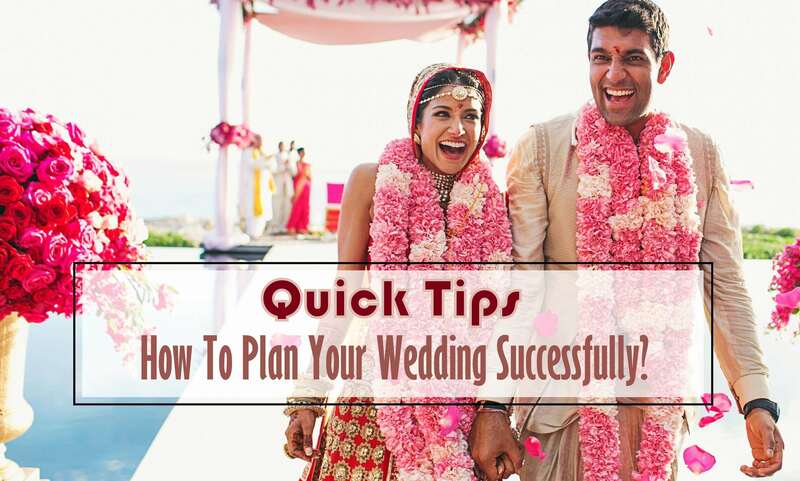 Engagement is the first occasion of the wedding and it is important for you to dress well. After all, it is the first time when a man is treated as a groom. Men can dresses up in classic style to traditional style. 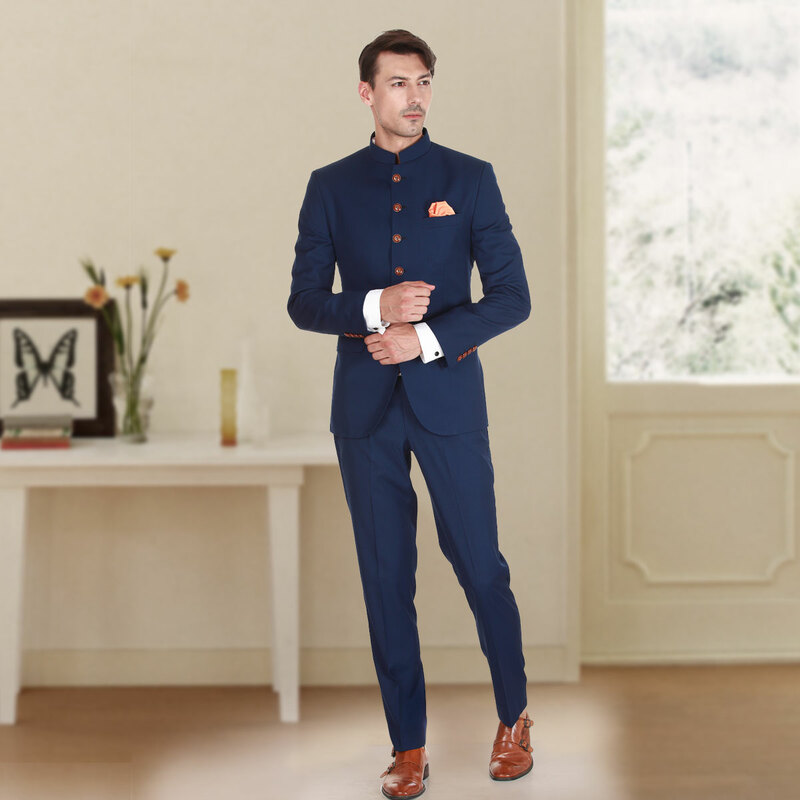 The Jodhpuri Suits or Bandhgala coat suits give you an Indian touch. 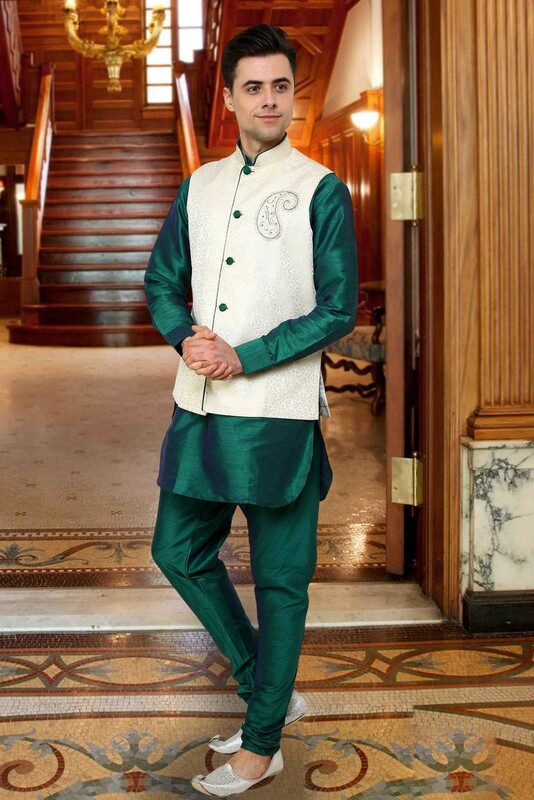 A bright color groom sherwani with a little embroidery can also attractive attire for a groom. It is completely up to you, what color you choose for the engagement attire. The trending color for the wedding is royal blue, golden. Haldi ceremony is one of the pre-wedding ceremonies when all guests and the groom having fun with the Haldi paste, so it is good to go with some comfy clothes. The staple Indian choice for the Haldi ceremony is kurta pajamas. It is comfortable to wear too and you can able to have a fun whole day. It is time to look simple and sober. 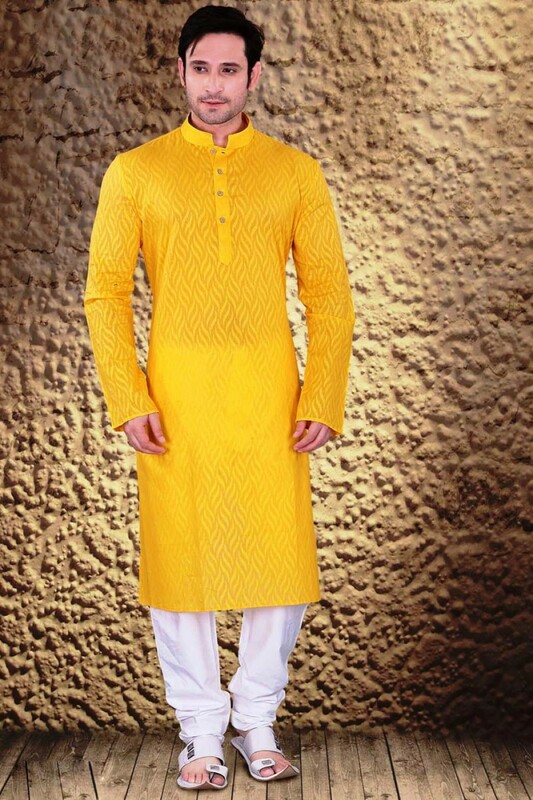 If you want some other than kurta pajamas, then a short kurtas or pathani kurtas also an ideal choice for men’s haldi ceremony outfits. 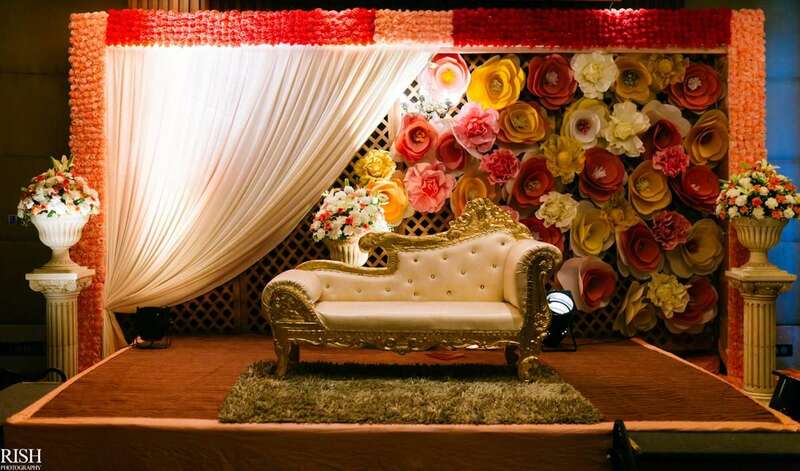 If you have themed Haldi ceremony, then you should go with the Haldi color, Yellow, otherwise try some funky color. A Mehandi ceremony is not important for the groom, but it is important for the groom’s family. Every relative and family member of groom takes part in this ceremony. Some of Indian Grooms and men also take part in it, because it is term as auspicious in Hindu religion. So it is necessary for a groom to carry sometimes different and gain the spotlight. The stylish kurtas or kurta waistcoat sets are ideal for the Mehandi ceremony. It gives you traditional look with a modern touch. If you follow some theme for the Mehandi ceremony, go with any shade of green otherwise pinks, yellow, red, orange, or your favorite color. Sangeet is a ceremony of music, dance, song, and celebration. 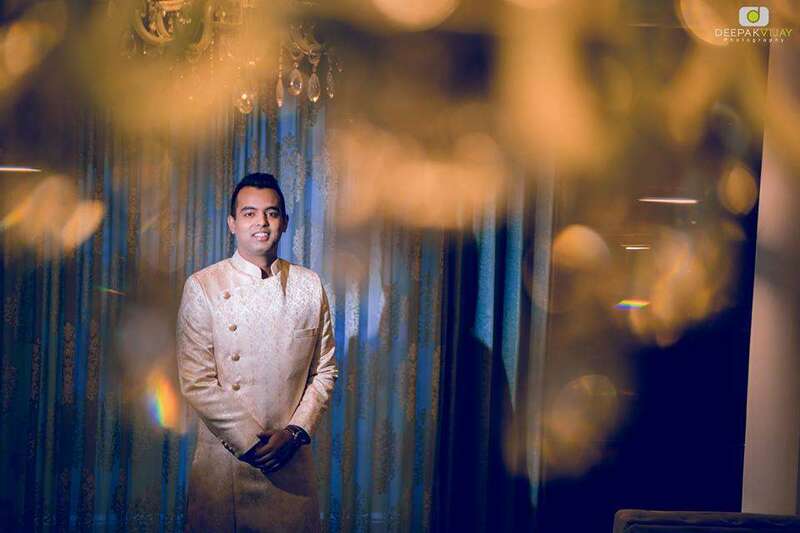 Groom can dress up some Indo Western Sherwani. Well, it is not fixed, sangeet ceremony lead to many dresses if you take part in the dance performance. Change your dress according to your dance performance. 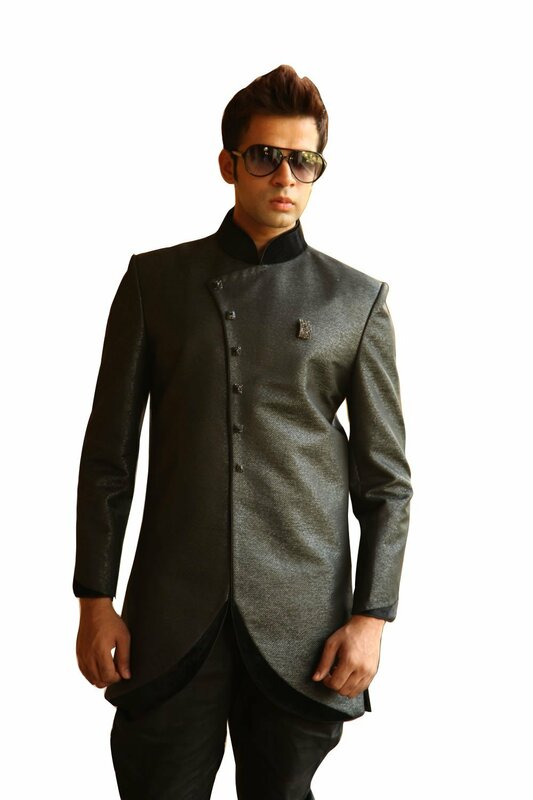 To get new look, drape Kurta with Blazers or Coats. The classic black color and red will be attractive for the Sangeet Night. On the day of the wedding, it is just to look good for a groom. 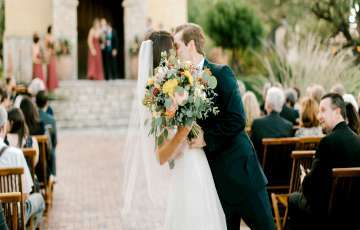 While choosing your wedding dress for the main ceremony, keep in mind that your attire is absolutely different from the others. Not only in the color but also in the style of embroidery. 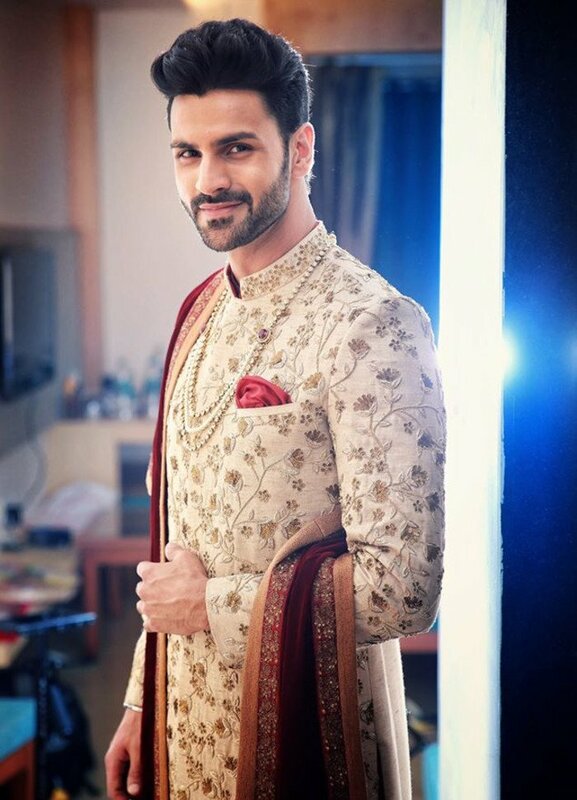 A stylish Sherwani with unique embroidery is always perfect for the wedding day. Now, it is up to your comfort that it will be 3 pieces or 4 piece concept. Still, if you are confused with attire, you can contact with the best designer in the Delhi. The reception party is a meet and greets party. 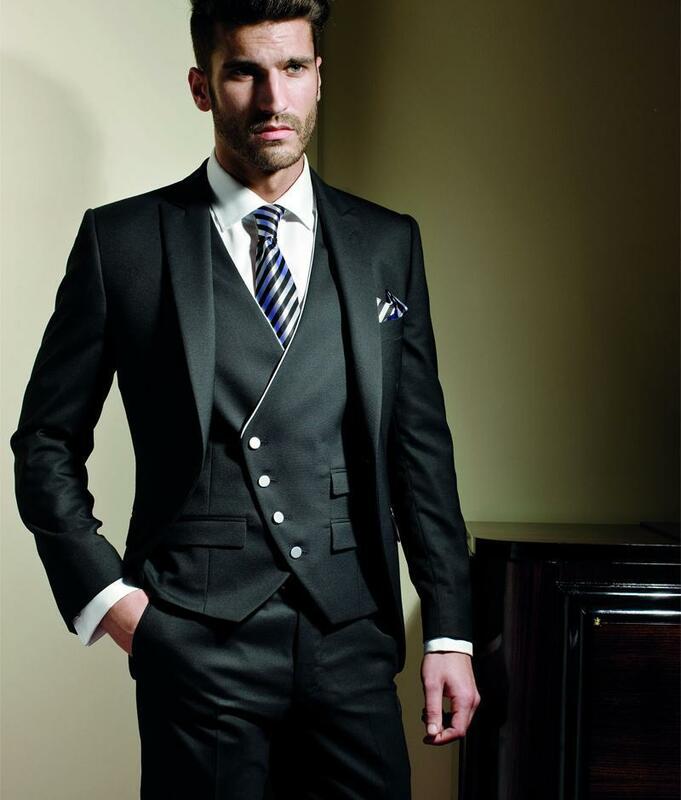 A formal suit, a wedding suit is best for the casual look in the reception. But if you go with some attractive solid color, like black, blue, grey, then it gives you stunning look. You can also try a perfect tuxedo look with a Tuxedo. If you have some theme for the reception night like a traditional theme, you can manage your sober traditional look with a sober Sherwani and a Jacket. At last, do not forget to pair up with the bride attire. The wedding day is not just about the bride. Her better half is just as important and so little attention must be paid to the groom looks too. Most of the men do not like to shopping, so we are making their life easy to suggest some kinds of stuff for their wedding days. Indian wedding has multiple of ceremonies. So, grooms-to-be required a new stuff for each ceremony. The above wedding attire of groom is enough for you to dress well. Grab your wedding dress or designer from the best nearby Groom Wear in Delhi. After all, it is all about your day.